Some of the greatest creations of art started off as a mistake. The famous Leaning Tower is Pisa was a mistake! Selecting the wrong type of marble tile to decorate your home could turn out to be a beautiful mistake, but then again, maybe not. Why take that chance and waste money on an expensive project the might look good? Yet, that is what some people do when they purchase their marble tile without obtaining any samples. That is probably because most wholesale tile distributors may not give away any samples but Nalboor Tiles does! Marble, which is becoming increasing popular, is known commonly for being used in warmer climates. Now, with the proper treatment, this tenacious material is being implemented in cooler areas of the region because, its durability is unlike any other flooring. There’s no doubt about it, buying marble instead of linoleum to decorate your home is definitely going to cost more out-of-pocket but after years of wear and tear, the expense of replacing that linoleum may cost just as much, if not more than what it would be to pay for marble flooring. So it could be reasoned that having marble flooring will last longer. That is why it is important to make sure that you are selecting the right type of tile. Nalboor Tiles offers a variety of styles that is guaranteed to turn your home into the perfect palace designed just for you. We offer our marble in a vast array of types offering a assorted collection of colors and patterns. • Brecca – This type of marble is usually known for having a darker tone of browns and reds. 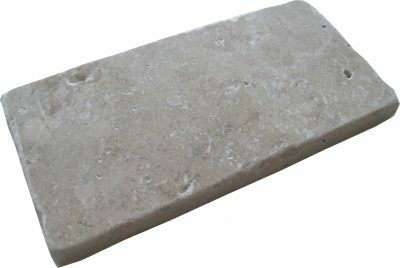 • Limestone – You don’t have to be a marble expert to know about limestone, as it is often the most popular type of marble. This porous material usually comes in a lighter colors. • Carrara Marble – You’ve probably seen this type of marble in your history books as it is used in Greek and Roman art. It is also one of the lightest types of marble. • Calacatta – This material is similar to Carrara but with a warmer vein pattern. Within these options are countless design combinations that can turn your space into anything from a trendy design to classic ambiance. For designers who dare to be different and wish to create a look that combines different types of material, our online catalog offers a myriad of selections for the inventive mind to compose the perfect piece of art for your walls and floors. After days, maybe even weeks of deciding which type of marble flooring combination best suits your needs, now you are gifted with the option of selecting an acceptable finishing to make your space pop! • Polishing – The most known type of finish. Polishing offers an almost reflective sheen, giving the surface a clean-looking surface. • Honing – For those who don’t want the shiny finish, honing is similar to a sanding technique; this form of finish buffs the marble giving it a matte surface. • Sealing – Not so much of an option, but a recommendation. Sealing marble prevents stains and protects this precious material from harsh cleaning chemicals. • Textured Specialized Finishes – This is where you can really have some fun and get creative! Although textured finishes is not always recommended for flooring, these options offers the creative mind endless options for designing a unique space. ○ Tumbled marble – This finish also offers a rustic feel but with a smoother tone. With all of these options, it may be nearly impossible to select the perfect assortment of tiles. That is why we offer our shoppers an opportunity to order free samples. We, at Nalboor Tiles want our customers to feel comfortable with their wholesale purchase and there’s no other way than for you to be able to hold and feel that piece of marble your hand, having the ability to place against the wall or on the floor, being better able to re-imagine what your space will look like. Select the type of tile that appeals to you and click on it twice. A new page will appear that provides more information about that particular piece of tile. Select the number of samples you want of that tile and click the “Order a Free Sample” button. A little window will pop up displaying your shopping cart. Click the button that says, “Add to cart”. A small window that displays your online shopping cart will appear. Within that window, you have the option of selecting the “Continue shopping” button if you want to order more free samples or the “Check out “ button. Get Your Free Samples Today! Ordering free tile samples for your home or office has never been so easy. You no longer have to imagine what your finished project might look like. With an easy click of a button, you can have your samples mailed to your doorstep. Start shopping for the perfect tile right now by viewing our products here. If you have any questions about our marble tiling, our Customer Support Line is available to you anytime, Monday – Friday from 9am-5pm at 305-501-4548. Maroon to red tones compose this tumbled marble tile. Excellent addition to any wall in your home as well as kitchen. Shell Reef Natural Limestone is a white , ivory stone with sea shell fossils. It's deep brush finish brings the natural shells out. White with grey tones tumbled natural stone. Bright and elegant look for any wall and or back splash.